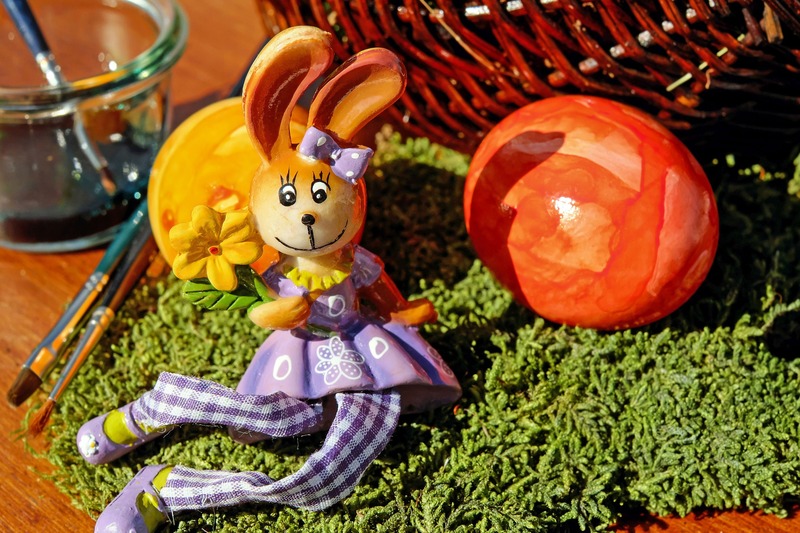 Easter Holiday Activity Planner | Silver Bay Holiday Village, Anglesey. 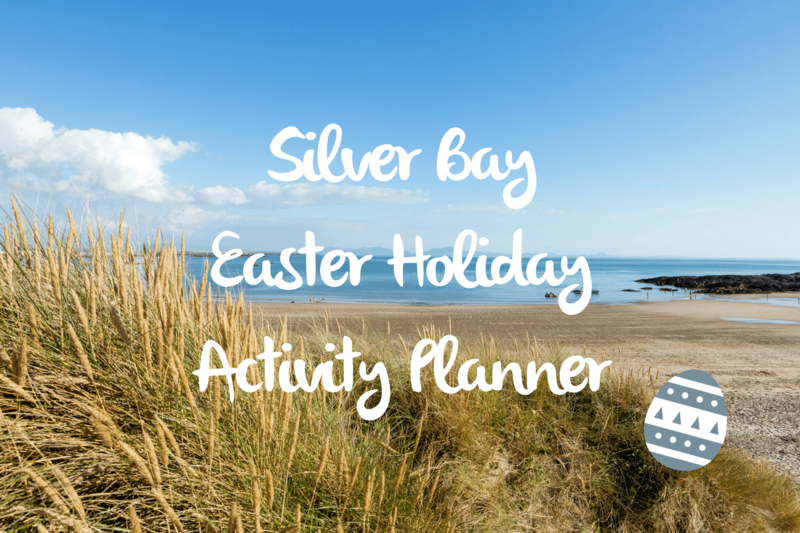 Your Silver Bay Easter Holiday Activity Planner! You can stop dreaming of escaping to your bespoke holiday home here at Silver Bay because Easter is almost upon us! 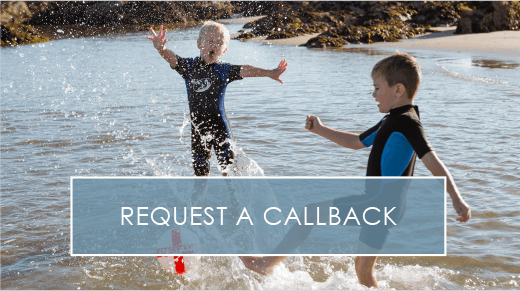 We’ve got an action-packed schedule adorned with fun, laughter and excitement – and it’s the perfect resource for planning your break at Silver Bay. Below we’ve gone through the schedule day by day so that you won’t miss a thing. And don’t forget, we’ve got a brand new Chill Out Zone opening in The Deck House. Pack off the children to the room filled with games and relaxation space while you enjoy some grown-up time in the main room. Close by to keep an eye on them, but far away enough to relax. It’s a win-win for everyone! Easter is off to a flying start as we begin our first week of activities! Don’t miss out on our Egg Box Daffodils creation session between 12:30 – 1:30pm, or our Easter Rice Crispy Cake baking activity at 2:30pm on Saturday the 1st of April! Get creative with the humble egg box and then go wild with rice crispies and chocolate to make a true, Easter treat. On Sunday, we’ll be launching a relaxing adult swim from 09:30-10:30am, so make sure you pop down to get in a few laps before the little ones hit the pool. We’ll also have a spinning class between 11:00 and 11:30am for 14+ to get your heart racing and your body working super hard! Monday the 3rd is another busy day. Why not head to the gym with the children between 09:30-10:30am where they can partake in some supervised activities? After that, there are plenty of arts and crafts at 12:30pm, as well as seed sowing and pot decorating at 5pm for those with green fingers. Head into Tuesday by learning to save a life with our Life-Saving/Personal Survival skills in the pool for 8 years+ with our session running between 11:00 to 1:00pm After that, the children can create arty Easter cards (5pm) or spend a bit of time learning how to cook on a campfire at 2:30pm. Wednesday the 5th of April will see Spinning classes return (11:00am) as well as a Legs, Bums and Tums session (6pm) for anyone aged 14+. It’s then time for the children to don their creative gloves in the afternoon as they have a go at salt dough modelling (12:30pm) and spend some time working with Paper Mache (2:30pm)! It’ll soon be Thursday the 6th, and the fun won’t be slowing down. Learn to kayak in the safety of the pool where there will be two sessions for those aged between 7-11 years and 11-16 years from 1pm onwards. Then it’s time the little ones paint their salt dough (12:30pm) or perhaps try their hand at cooking up a storm in the kitchen with our exciting baking class (2:30pm). Friday the 7th of April and Saturday the 8th are full to the top with activities for all ages. Our adult only swim returns at 9:30am, and the children will be spoilt for choice in the afternoon as they wile away the afternoon creating dream catchers (12:30pm), partaking in woodland activities (2:30pm) and then rounding the excitement off with a movie starting at 5:30pm. Sunday provides a break for Busy Bayers, but there’s still plenty to do on site. Spend the day by the beach or in the pool. We’ll be hosting our supervised activities (09:30am) and spinning sessions in the gym (11:00am) too! As Monday the 10th roles around, and Easter gets even closer, it looks as though it’s going to be an exciting week. Why not head to the gym for a cardio circuit session to sweat out all those toxins from the weekend at 11am? Or perhaps your children might want to work up a sweat themselves with one of our exciting dance sessions from 1pm? Tuesday will be an important day for water lovers as we host our Life Saving session in the pool between 11:00 and 1:00pm. We’ll also be offering the chance for children under 6 to create adorable Easter bonnets (11:00am) which will certainly be worth a picture or two for the family album! Wednesday the 12th of April is also a calendar highlight. We’ll be hosting our Open Golf & Target Games for those inclined to enjoy a bit of putting at 1:00pm. 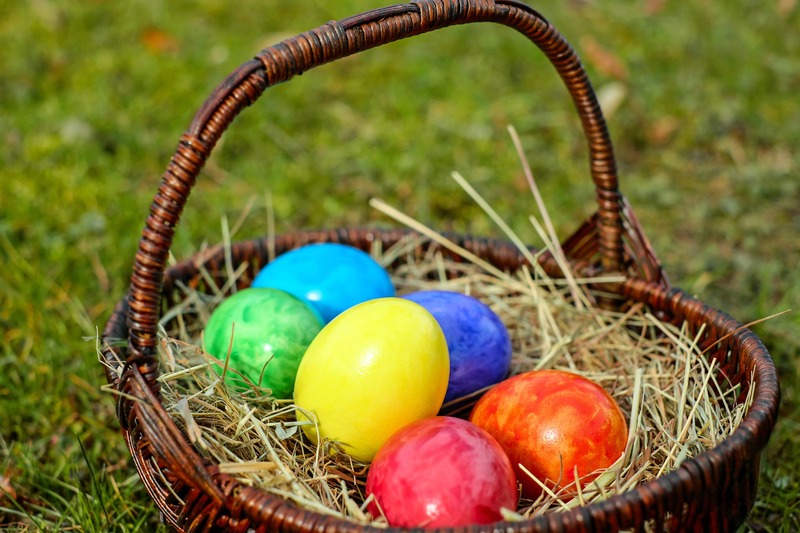 We’ll also be painting our paper mache designs (5:00pm) with the little ones and creating Easter baskets (12:30) – perfect for collecting lots of chocolatey eggs on Easter Sunday. If you love water, you’ll adore Thursday’s activities. Come and join us as we take to the pool and host a scuba diving experience for those aged 8-13yrs + between 1:00 and 2:00pm, and 14yrs + between 2:00 and 3:00pm. Head to Busy Bayers too for the chance to make bird feeders (12:30pm) to attract as much beautiful wildlife as possible to our holiday village. On Good Friday, it’s the perfect chance to practicing kayaking in the pool with our morning sessions from 1pm. If the creative mood has caught your children, be sure to send them to Busy Bayers where we will also be working on our arts and crafts skills at 12:30pm. Or why not kick back and relax all day before sending the little ones to our movie night in the evening (5:00pm)? They’ll adore the chance to watch an entertaining movie with their friends! It’s Saturday next, and Easter will only be one day away. Don’t worry though; there’s still plenty happening on site! Big news for chocolate lovers as our Easter egg hunt will be taking place between 2:30 and 4:30pm. Bring your Easter baskets to collect some yummy treats! Then to round off a fun-filled, rousing day, why not head to The Deck House for The Big Quiz? Put your knowledge to the test with your family and friends whilst enjoying a tasty little tipple. On Easter Sunday itself, there’s a chance for the adults to work off the chocolate eggs with an adult only swim between 09:30 and 10:30am. There’ll also be a spinning class where you can earn that gluttonous roast dinner! The Deck House will also be hosting a delightful Easter Sunday roast if you fancy popping in and filling your boots. Call us on 01407 860 860 to reserve your spot and avoid disappointment. Easter Monday is the perfect chance to catch up with any activities you’ve missed earlier in the week. Our cardio circuit (11:00am) and supervised gym sessions (3:00pm) are back, and so are our dance (1:00pm) and bird feeder making activities (5:00pm) for the children. Don’t head home on Tuesday the 18th, instead spend some time taking part in our metafit studio gym session (11:00am). Or if sweating over cardio isn’t your thing, then why not clear your mind and stretch those muscles with a pilates session at 6pm? On Wednesday we’re heading back down under the water for an exciting scuba lesson (1:00pm), follow this with legs, bums and tums (6pm) in the studio. For the children, we’ll be taking the woods for some woodland activities (2:30pm), followed closely by more arts and crafts than you can shake a stick at starting at 5pm! Thursday is the 20th of April, and sadly the Easter holidays will be winding down. However, don’t fear, we’re still here to keep you topped up with fun! We’ll be hosting Orienteering for the children between 1:00 and 2:00pm in the gym studio, and then it’s time to try your hand at salt dough modelling (12:30pm) or create something scrumptious during our baking activity between 2:30 and 4:30pm. Round it all off with seed bomb making (5:00pm) as we make it our aim to fill our site with awe-inspiring plants. Friday the 21st of April is our final day of activities. Our adult only swim is on again between 09:30 and 10:30am, followed by kayaking between 1:00 and 2:00pm for those aged 7-11yrs. There’s also an extra session for those aged 11-16yrs between 2:00 and 3:00pm – so make sure you choose the right session for your age range! That’s it for Easter at Silver Bay for 2017. We’ll soon be looking forwards to the May half term when we’ll get the chance to relive the fun all over again. In the meantime, we wish you a happy Easter and hope the Easter Bunny pays you a visit! 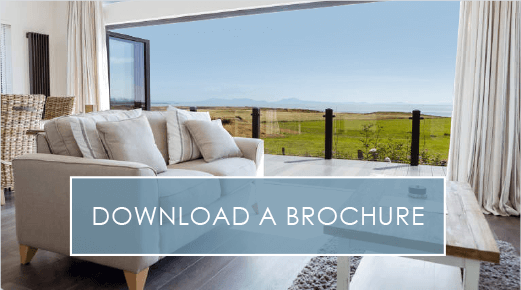 If you think your family would love a holiday home at Silver Bay, click here to download our brochure or contact us and book a site visit here. 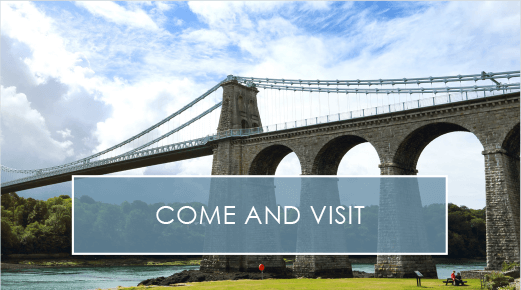 previousExcellent Easter Activities To Enjoy on Anglesey!